This year I am going to try out Gardening. I am not sure if I have a green thumb for Gardening or not, but I am willing to try it out. My older son likes the concept of planting something and watering it until something grows. His school has a garden that they grow every year and loves to take care of it. I want my children to grow fruits and vegetables that they like to eat often and see how it can grow and how we can eat it. Fresh is always best! 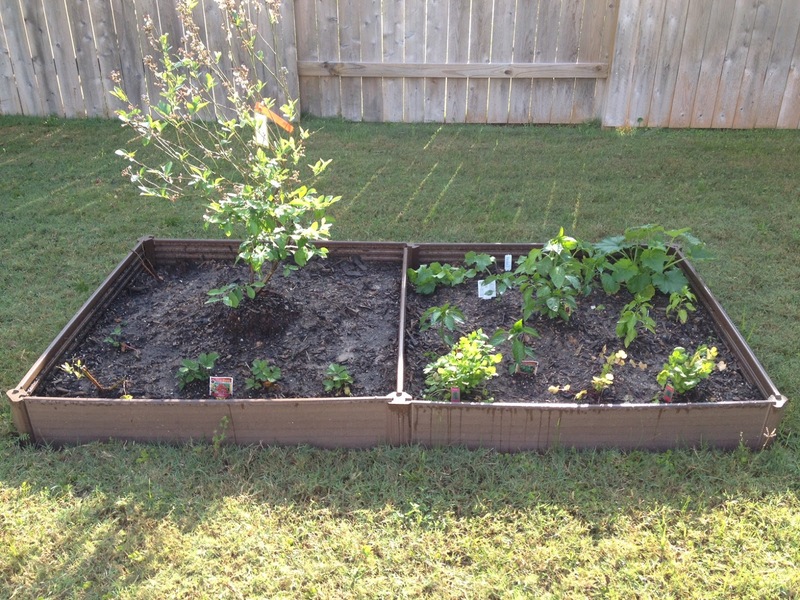 It is now March and I planted Blueberries, Strawberries, Green Bell Peppers, Red Bell Peppers, Cilantro, Jalapeno Peppers, Cucumbers, and Zuchinni. The way we did it was pretty easy, We bought the Planter from Sam's Club and the plants from Houston Garden Center and Lowe's. 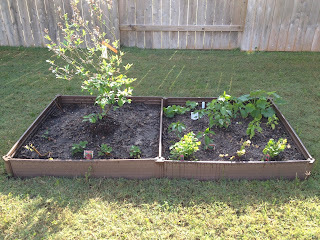 Monday, April 2 - There are baby blueberries and strawberries coming in now and the Cilantro has grown very nice and all of the plants basically have been growing well.....now just waiting till I can actually use some vegetables or fruit! Thats one thing I have never tried. Thank you! It was pretty easy. Got the Planter from Sam's Club and got the plants from Houston Garden Center and Lowes.